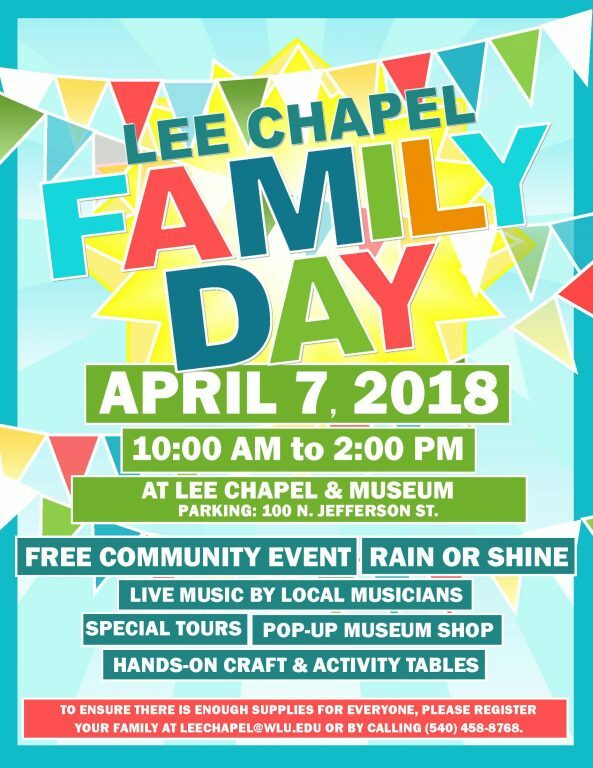 Washington and Lee University invites the community to Lee Chapel Family Day on April 7 from 10 a.m. – 2 p.m. This event is free and open to the public. Families are invited to visit Lee Chapel for a day of special tours and museum activities. Outside, families can enjoy live music while they soak up the sun. There will also be hands-on craft and activity tables available for the kids. To ensure supplies last, please register the number in your family at leechapel@wlu.edu. This is a rain or shine event.